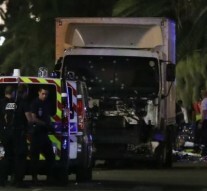 Last night, the city of Nice, in Southern France, underwent a new terrorist attack: 84 people died and many are those who are severily injured. The attack took place after 10pm, an armed man ran over the crowd with a lorry. Our very lifestyle, our own civilisation is under threat. Terrorists have taken advantage of a resort destination, such as Nice, and of the Bastille day, an iconic celebration for France. The Nice attack is pure terrorism. Because the aim of these attacks is to spread terror, to convey the feeling that our everyday life can be ended at every moment, letting us awash in existential angst. In doing so, terrorists want to inoculate the virus of the Absurd into our lives. Angst and absurd rouse a sense of helplessness now that France has undergone the latest, devastating attack, despite the recent success over the security challenge during Euro 2016. France now must be ready to live with the same anguish which has always characterised Israel. As the attacker was Franco-Tunisian, he was rooted in France. How this failure of integration has been possible? It is still early to say, but it seems that this attack might have been organized and implemented by a sole individual, as if Europe were facing Insurrectionary anarchism again. How can intelligence prevent these attacks? How can police forces check not only migrants and refugees, but French citizens with Algerian or Tunisian origins too? For those who do not want to integrate, no integration policies can be successful. These attacks are not committed by a simple madman. Whoever organises these suicide attacks is lucid, rational and capable of discernment. It is still too early to say whether Islamic fundamentalism is the basis of these attacks, but it remains unclear the reason why this way becomes at some point the only option for lucid but desperate people.